At long last, we’re finally only a few weeks away from our favorite HBO motley crew returning to our television screens! Oh, but we’re not talking about Game of Thrones. There’s another wonderful group of comrades, sticking together through thick and thin — but thankfully, the guys of Pied Piper don’t have to deal with any white walkers (yet). Like so many of our other favorite television shows, Silicon Valley has gotten the Funko treatment and we’re going to need all of these for our own workspace. Each guy is sporting their ~signature~ look, with Richard and Jared both wearing Pied Piper paraphernalia (no one is ever going to be able to get Jared out of that jacket). 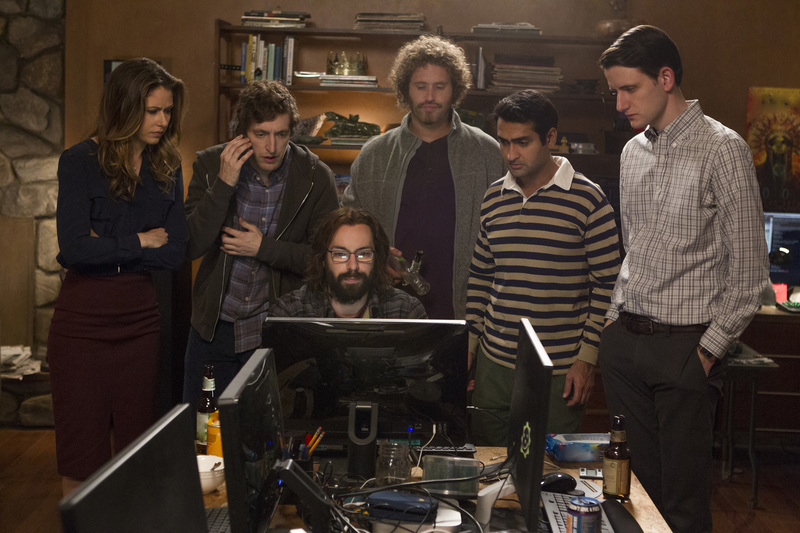 Erlich, meanwhile, has on his Aviato shirt, and Gilfoyle is dressed as, well, Gilfoyle. And if you’re wondering, yes, Dinesh is rocking his gold chain. While we’ve still got to wait till April 23th for Silicon Valley, you can snag these Pop!s right now in the HBO shop. We just can’t guarantee that they’ll be good at playing always blue!